A Little Hut - Patricia Zapata: 2011 - come and gone! 2011 - come and gone! I love seeing the past year like this. It's a great way to remember everything I've done and how what my focus has been on. It seems this year was about flowers and patterns. I definitely like that—it all feels like me. If I had to pick one favorite project it would be my paper quilt (2nd row, middle photo). It inspired a few of my other ideas. I can't wait what next year's mosaic will look like. Previous years are here: 2007, 2008, 2009 and 2010. We've been having a very quiet week and I've had time to focus on family and a huge project. A new web site! It has been an overwhelming amount of work and I'm finally seeing the light at the end of the tunnel. If you visit in the next few days and you see a maintenance image up, you'll know what's going on. Exciting! I hope that you all have enjoyed the end of year celebrations and that the new year brings us all wonderful experiences. As always, thank you so much for your continued support. I really appreciate your visits to my lil' old blog and hope that I will meet more of you in the coming months. Here's to an awesome 2012! Cheers! 2011 was a great year, I discover your blog and other lovely blogs. I know 2012 will be even greater for all of us. I just discovered your blog a few days ago while looking for a paper flower tutorial and your poppies are the best! Dahlia - I love your wreath! It looks perfect to bring on spring. Thank you so much for sharing! In 2011, we also discovered your blog. 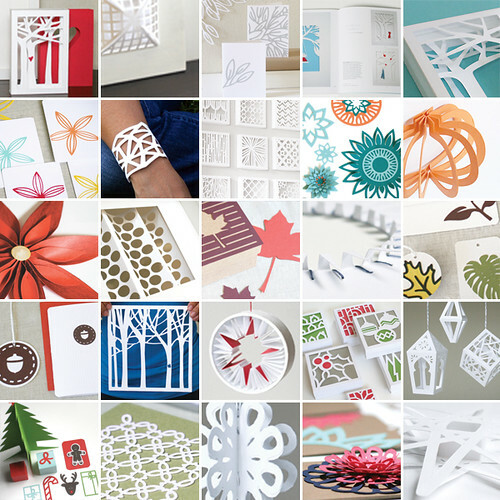 Your paper crafts have been a source of inspiration that we've enjoyed sharing with our followers. Looking forward to what you create this year!